During a recent “106 And Park” appearance, Karrueche Tran made a distasteful joke about Blue Ivy’s hair, which many took offense to. The joke came during a segment where the hosts highlighted the top six things Blue Ivy thought about at the MTV VMAs. 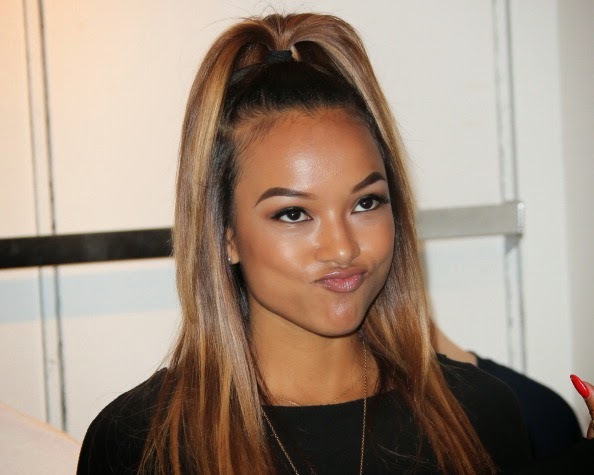 “I really did wake up like this because my parents never comb my hair,” Karrueche said. “Sorry Blue! I love you!” she added. 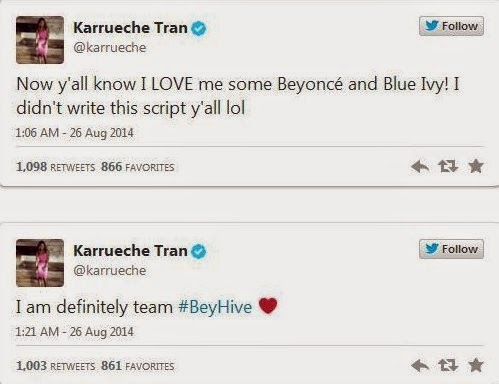 UPDATE: Karrueche says that it’s all BET’s fault. How Karrueche gonna throw shade at a toddler? You got nice hair and still get cheated on every 3 weeks. Karrueche is a verified idiot though. We already knew this. Both BET & Karrueche are wrong for coming at Blue. How is a BLACK network making fun of a BLACK child for wearing her hair the way it grows?